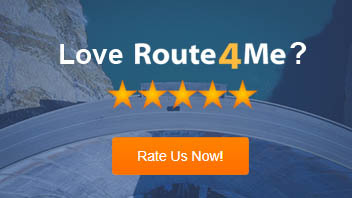 Most customers don’t just upload addresses into Route4Me, they upload detailed information about every stop so that we can compute total weight, total items, store invoice numbers, and other important aggregated metrics for each route. By uploading routes with extended metadata, drivers have more information available to them when they are out in the field. However, one of the biggest challenges that our clients currently have is being able to rapidly search by an invoice number, PO number, tracking number, notes, or any other custom data that they uploaded into our system. With this new release, users can simply type in any search term and the new search engine will instantly reveal what route the data is in, so that you can answer customer inquiries immediately. API users are also able to access the search tool, in order to retrieve detailed information about any route in their organization.